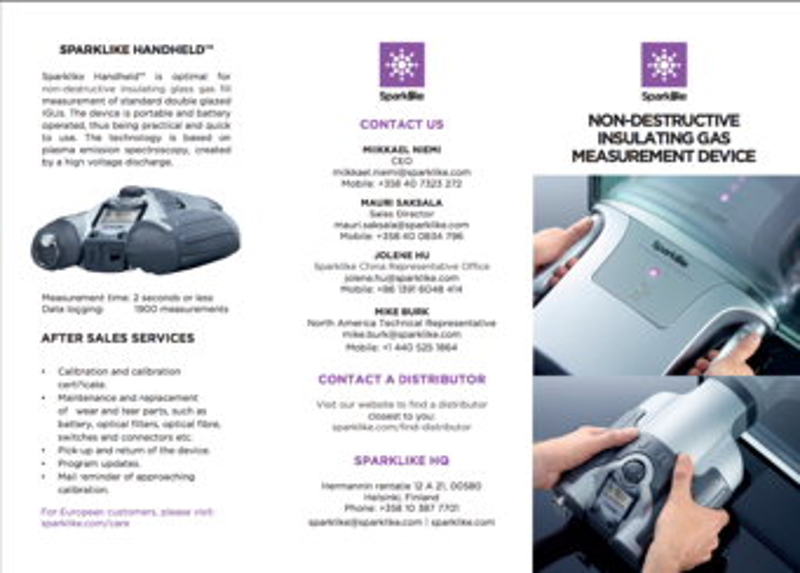 By filling in the form you will receive the leaflet about Sparklike devices™ in printable format. Our innovation are world's first and only non-destructive insulating gas analyzers for double and triple glazed insulating glass units with coatings and laminated glasses. Sparklike Handheld™: Double glazed insulating glass units. Measurement time of 2 seconds.